Tue., May 8, 2018, 6 a.m.
Where: Dorothy Dean Live Cooking Demonstration Stage, Spokane Convention Center, 334 W. Spokane Falls Blvd. There’s always a bit of a twist when it comes to cooking classes hosted by chef Amanda Hillmann of Modernist Cooks & Catering. In her class for Vietnamese pho, she gives the recipe a Thai spin by adding peanut butter to the broth and speeds up the process – an authentic pho can simmer for hours to enhance all the flavors – with a Korean beef stock. Her classes usually offer more than just tricks of the cooking trade. Among her offerings, you’ll find classes combined with speed dating, a comedy show and painting. She also offers classes for children. Hillmann picked up her initial interest in cooking though her mother, calling her one of the best cooks in the local Thai community. Her first job was at Sala Thai in Airway Heights as a teenager. After working at a few other establishments, she studied at the Inland Northwest Culinary Academy, graduating four years ago. On May 12, she’ll be among the chefs starring on the demonstration stage at the Dorothy Dean Home Cooking Show. Hillmann opened Modernist Cooks & Catering in 2017. She wanted to spend more time with family and thought the business would allow her time to focus on her son rather than a chef’s restaurant schedule. Along with catering events for up to 150 people, she wanted to bring an appreciation for food and cooking to young people. “(Kids) are scared to try new things. It’s not a good way to live,” Hillmann said. She wants kids to get comfortable in the kitchen and emphasizes the skills and activity of cooking. Her younger students, ages 6 to 12, are rewarded with stickers. Adults students in her specialty classes find a different kind of reward: new friends. Whether it’s a class specifically targeting singles or a general cooking class, Hillmann will often have people work in groups, so the cooking experience is communal. At the end of every class, the group sits down together to their meal. That community celebration of food is a perfect match with the Dorothy Dean identity, which focuses on home cooking and entertaining. “The revamp of Dorothy Dean is an exciting time for Spokane. We are growing stronger in the culinary field and to bring Dorothy back, as a more ‘modern’ figure, is a sensational idea,” Hillmann said. “As a chef, I am very excited to see all the great food demonstrations by Spokane chefs. I also hope to sneak away and see the authors and publishers of cookbooks,” adding that she’d like to publish her own cookbook one day. For her cooking demonstration, Hillmann is preparing a Spanish adobo pepper shrimp with a chilled sweet mango sauce with mint. “It’s going to be bright and fierce in flavor,” she said. 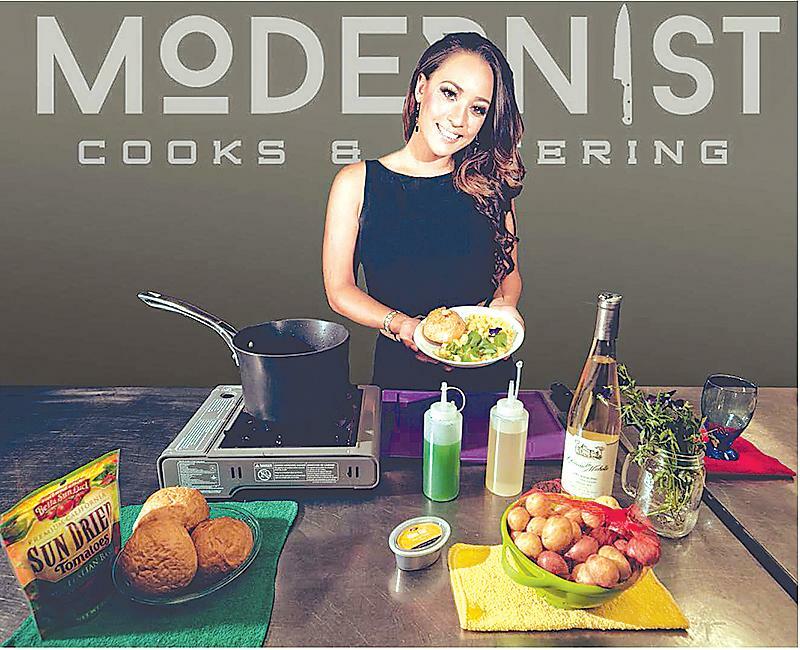 To contact Hillman or learn more about Modernist Cooks & Catering, visit modernistcooks.com. Published: May 8, 2018, 6 a.m.